Know what you want: When you decide to shop online, make sure you know what you are looking for. Various items are available on online shopping sites, so make sure you search only for things that you want. While searching for caps, you might come across various styles and designs, but make sure you limit your search to only Kufis. The search panel on these online shopping sites allow you to find exactly what you want. Know your size: Choosing a Kufi of the right size is of importance. Your head will hurt if you choose a cap that is too small for you. Also, if you select a cap that is too large for you, it will keep slipping off from your head. Make sure that you carefully measure your head size and choose a Kufi accordingly. When you opt for online shopping, you have the benefit of choosing an appropriate size as the size of the product is mentioned alongside every product. Compare the price: Various online shopping sites sell Kufis at different prices, make sure you browse through various sites and see which site is selling the Kufi at the lowest price. 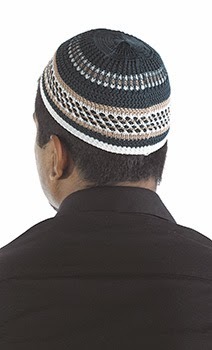 Check the colour and design: The most popular Kufi design is crochet. Kufi caps of various designs and colors are available on these sites. Make sure you choose a cap according to the occasion. If you are selecting a Kufi to be worn on a daily basis, choose a white Kufi with minimum design. If you are selecting the cap that can be worn on an occasion, you can choose a colored cap that matches your outfit. Check the finishing: The finishing of the Kufi should be proper else it gives an untidy look. Make sure you check that there are no hanging threads on the cap. By keeping in mind the above mentioned factors, you can select an appropriate Kufi from an online shopping site.